We took this in Kusadasi, Turkey. We have used a photo of the same horizon when we first participated in the challenge. Then an hour later from that photo, this happened. This entry was posted in Turkey, Turkey, Weekly Photo Challenges and tagged Daily Post, horizon, Kusadasi, photo, Photography, sunset, Travel, Turkey, twinkle, Weekly Photo Challenge. Stunning photo! Thanks for sharing. Thank you so much for saying so 🙂 Happy rest of the week! 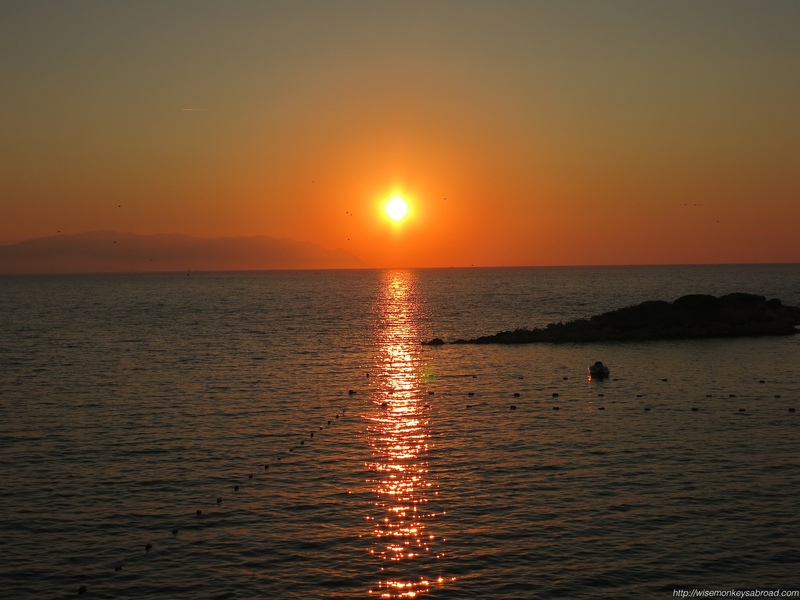 Kusadasi certainly hosts some spectacular sunsets 🙂 Hope you enjoy the trip down memory lane when you look at those photos of yours! Beautiful. I noticed you mentioned the cricket…what a satisfying ending and quite exciting too! There’s nothing I like better than beating another team at cricket! It was a great ending. And my weekend was a great beginning – to the holidays. Yippee! Thanks Yvette 🙂 Hope you are well and happy holidays if we don’t speak to you before the end of the year! Hope you are enjoying the weekend. Watching the cricket by any chance? What is it about sunsets that make them so romantically mesmerising?? It certainly was…:) Hope you have a fab weekend! Beautiful twinkle 😉 Great shot! Thank you 🙂 We love these challenges because then it does allow us to revisit photos and moments that sometimes have slipped our minds!